When you are planning a skiing trip, it is not surprising that most of your attention is focused on the nature of the slopes and the quality of the après-ski. However, when you are standing on the top of that mountain, or relaxing in that ski lodge, wouldn’t it just be the icing on the cake if you could also take in some spectacular scenery? Many ski resorts around the world have truly beautiful settings. Here is a pick of the best ski resorts for scenery. When film makers are looking to make an impression, they choose the best backdrops to their films. So the fact that Cortina has been used in several famous films says a lot about its beauty. “The Pink Panther,” the James Bond classic “For Your Eyes Only” and “Cliffhanger” all had scenes shot in Cortina. The resort has been popular with wealthy Europeans for many years, which has led to it boasting a wealth of retail therapy opportunities and restaurants, but it is the natural beauty and stunning scenery of the area that is its real draw. However, there is more to Cortina, as it is also part of the Dolomiti Super Ski Area and features slopes of such a high quality that it was the host of the 1956 Winter Olympics. 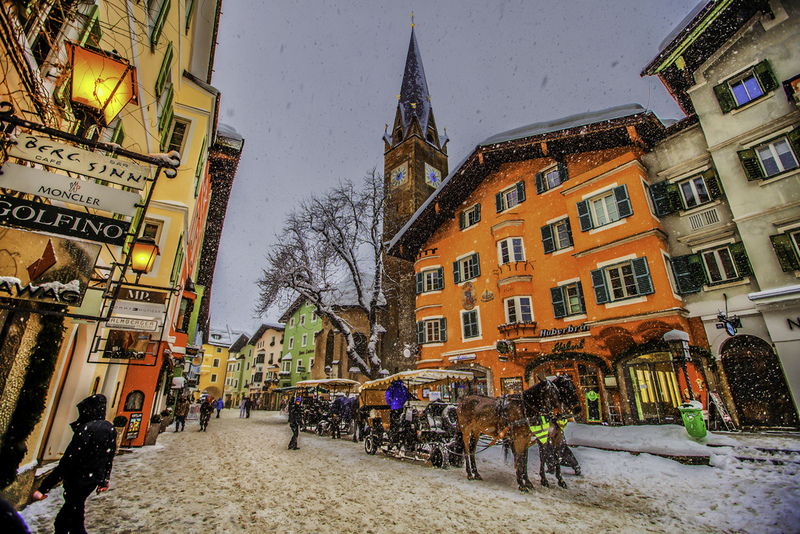 Igls is an incredible ski resort located in the famous Innsbruck region of Austria. 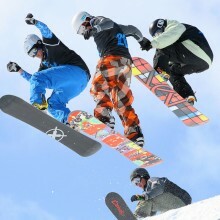 The region is world-renowned for its high quality slopes, especially those included in the Olympia SkiWorld arena. It has played host to the Winter Olympics twice and the Youth Olympics. 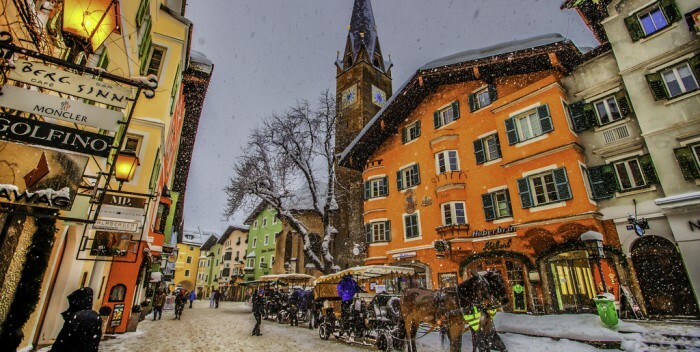 The quaint village of Igls stands in the shadow of the peak of Patscherkofe, and offers all of the charm and beauty of a typical rustic Austrian village. However, once you ascend the mountain, it is really possible to see why Igls features so highly on the list of picturesque ski resorts. What could be more breath-taking than looking over the Wipptal Valley at the snowy-topped peaks of the Stubai Glacier? What’s more, this spectacular sight does not change no matter what season you visit in, as the climate allows for year-round snow on the peaks and fluctuating flowery meadows and deep snow on the plateaux. Simply beautiful. Megeve is France’s answer to Switzerland’s St Moritz. It is where the beautiful people go to rub shoulders with other beautiful people and to take in the spectacular scenery and slopes of the area. At the heart of this ski resort is the medieval town of Megeve. With its winding streets and postcard-perfect square complete with ancient church, it is easy to see why is draws a crowd. 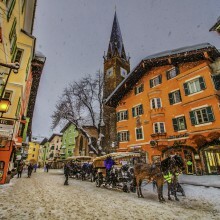 Because of its association with the aristocracy, there are a wealth of cafes, bars and restaurants where you can enjoy high quality après-ski, dinner and drinks into the small hours. For those wanting to take in the natural beauty of the area, there are 3 sections of ski runs catering for all abilities, although aimed more at the intermediate level than the advanced. 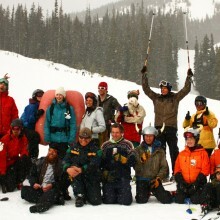 There is also a snowboarding section and two ski schools for those wanting to brush up on their techniques. With a name like Heavenly, the expectations have to be high. Heavenly delivers. 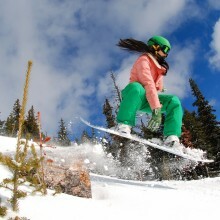 This breath-taking ski resort spans the border between Nevada and Colorado and overlooks the majestic Lake Tahoe. There are nine peaks in total in the resort, all offering stunning views of the lake, snow-covered mountains and crystal blue sky. The scenery also has an element of drama about it as there are impressive vertical drops, hidden glades and tree runs. 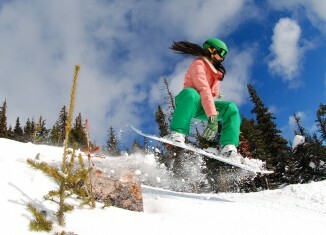 There are ski schools at the resort, however, Heavenly is best designed for those of an intermediate and above level as some of the slopes are very challenging. 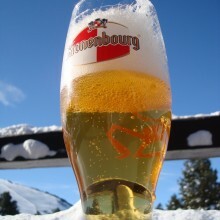 There is also a bustling atmosphere in the town and the beautiful natural scenery makes the perfect backdrop for your après-ski. If you are more interested in the slopes and natural beauty of an area than the beautiful people and the shopping, then Girdwood is the place for you. It may have a reputation harking back to the 70s of being a haunt for hippies, but today it is a world class resort with a more relaxed feel than some of its more show-offy counterparts. Not only does Girdwood have uninterrupted views of the amazing scenery, it also have largely uninterrupted slopes. 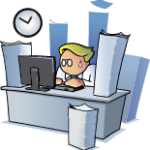 It does not suffer from the same levels of crowding that some resorts do, but that does not mean it should be missed. The slopes are more akin to the European Alps than American slopes due to the low tree line. Not only does this allow for wide runs, it also lets you take in the majesty of the whole area, including ocean views from the North slopes. If you are worried about not catching the views as you descend, there is a tram that slowly makes its way up the North face, as well as six ski lifts. Because of the drama and rawness of the resort, experienced skiers and snowboarders will get the most out of a trip to Girdwood, however intermediate levels can also join in the fun on the lower slopes. Skiing is inextricably linked with glamour and beauty, and most resorts have a smattering of glitz to ramp up the gorgeousness factor. However, there is more to skiing than that. These resorts boast true natural beauty and stunning scenery that just cannot be faked. If you are looking for somewhere to satisfy your lust for great slopes and desire for a great photo opportunity, then the resorts above will not disappoint.